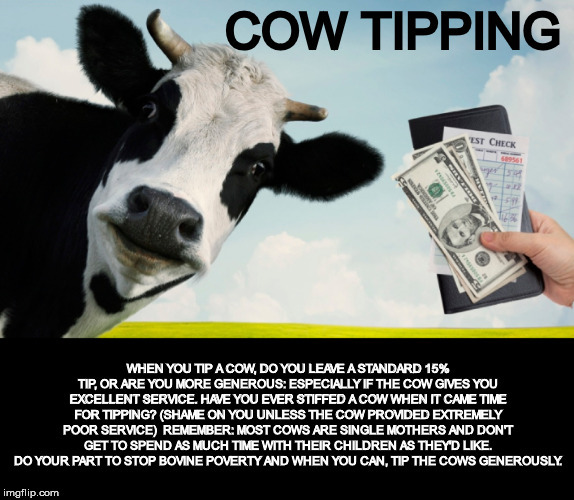 COW TIPPING; WHEN YOU TIP A COW, DO YOU LEAVE A STANDARD 15% TIP, OR ARE YOU MORE GENEROUS: ESPECIALLY IF THE COW GIVES YOU EXCELLENT SERVICE. 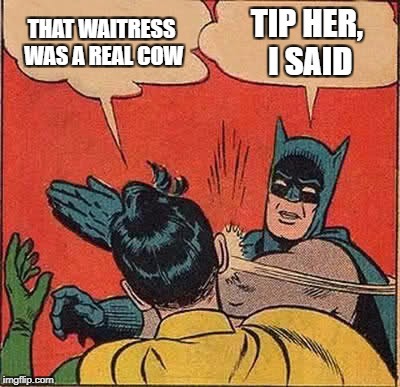 HAVE YOU EVER STIFFED A COW WHEN IT CAME TIME FOR TIPPING? (SHAME ON YOU UNLESS THE COW PROVIDED EXTREMELY POOR SERVICE) REMEMBER: MOST COWS ARE SINGLE MOTHERS AND DON'T GET TO SPEND AS MUCH TIME WITH THEIR CHILDREN AS THEY'D LIKE. 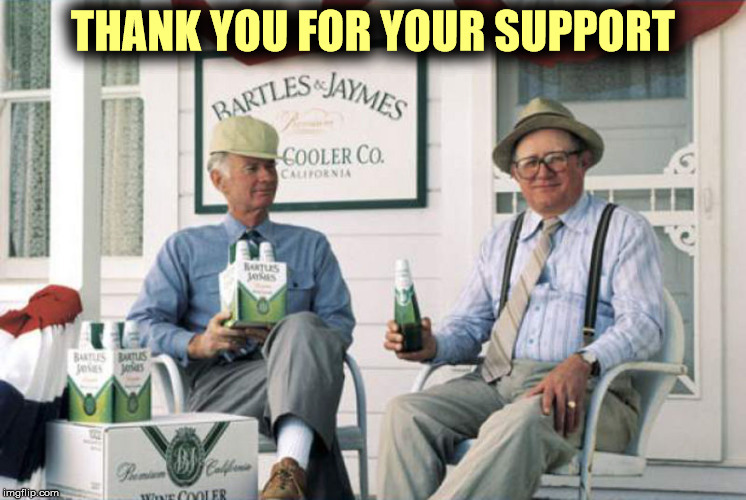 DO YOUR PART TO STOP BOVINE POVERTY AND WHEN YOU CAN, TIP THE COWS GENEROUSLY.